Exceptionally built and immaculately maintained, this 4 bedroom, 3 bathroom home is located on a private 9,900 Sq Ft lot. 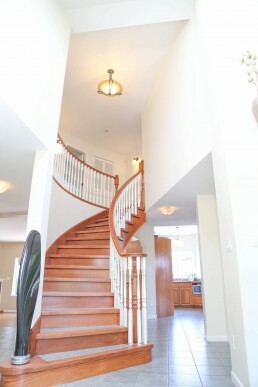 Great family layout with main floor living and 3 bedrooms upstairs. Downstairs, you’ll find a centrally placed kitchen, a dining area opening onto a fabulous south-west facing patio, perfect for outdoor entertaining; living room has a beautiful gas fuelled fireplace, separate family room, bedroom and den. Double car garage which can be used as workshop and lots of additional parking. Fantastic location, close to all amenities and schools.